Humanscale’s adjustable Copy Holders keeps documents aligned with the keyboard and monitor to encourage low-risk posture while reading, editing or inputting documents. Our copy stands support a range of documents and can be stored easily. Maintaining document alignment while typing is critical for a healthy posture as it minimizes the computer user’s potential for repetitive head movement. Humanscale’s Copy Holder dramatically reduces neck and upper back stress by supporting a variety of documents, from single sheets of paper to large books, and keeping them aligned with a monitor. 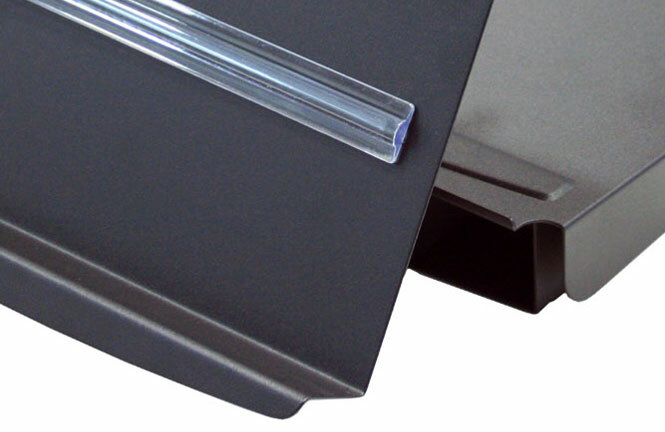 The Copy Holder is adjustable, so the height and angle can be set as needed. It also includes a magnifying line guide, which is essential for small text, and a clip-on paper support for legal and over-sized paper. 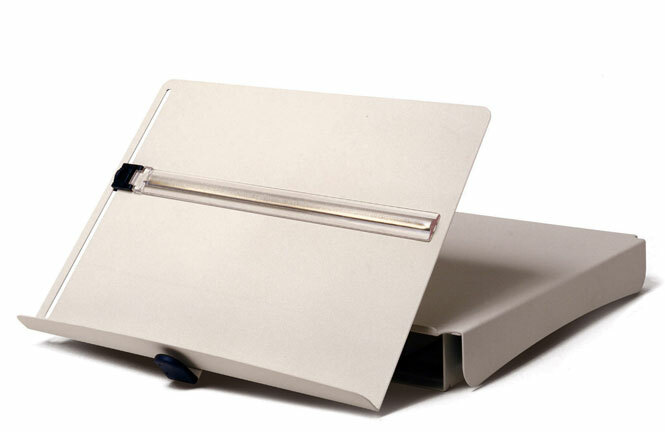 The paper tray, with documents still in place, slides away on easy glide tracks when not in use, leaving only a low-profile case beneath your monitor. Our copy holders come with a lifetime warranty because they are built to last. Made from virtually indestructible powder-coated steel, the copy holders easily hold heavy documents or books weighing up to 10 lbs.